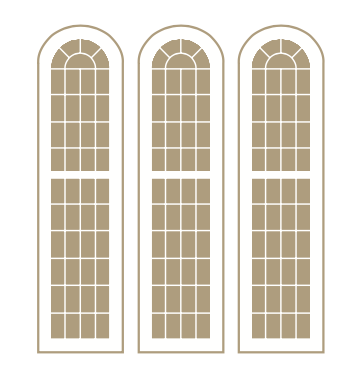 At Independent Presbyterian Church, we make our worship about God - the Father, Son, and Holy Spirit. God calls us to worship Him and we respond to His gracious initiative. Everything we do is for God's glory. Our worship is built on the Bible. This means that we pray the Bible, we preach the Bible, we sing the Bible, and we read the Bible. The Bible is our only rule for faith and practice. Our worship is about the Gospel. The Gospel is the declaration of good news about Jesus. It’s not a suggestion or an opinion, but a fact that Jesus came here, lived a perfect life, died, rose from the dead, ascended into heaven, and is returning at some point in history. It is the news of total forgiveness for us and our hope for the future restoration of all things. You see the Gospel in our liturgy, hear it in the preaching, and taste it when we go to the Lord’s Table on the first Sunday of every month. What are the Worship times? Sunday morning worship services are at 8:30 and 11:00. Sunday "Evening Praise" service is at 6:00. Can children attend Worship services? Children are welcome to attend our worship services, but we do offer child care and activities for our youngest children. On the lower level of the church our Nursery & Preschool Ministry has classrooms for infants through preschool. Room assignments are based on the child's birthdate. On the middle level of the church, our Children's Ministry offers Children's Church for kindergarteners. These ministries are available during BOTH morning worship services. During Sunday Evening Praise, children in grades K-5 join their families at the start of worship, then migrate mid-service to an exciting new program just for them. Four Corners is a fun time of learning about God's mission to his world. Nursery is provided for children JK and under. What about attire for Worship? There is no dress code at IPC! You will see some people in suits and some in jeans and everything in between.